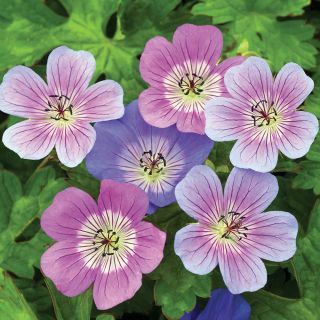 The gorgeous, large pompom shaped blossoms of geraniums make a delightful addition in any type of container, flower bed or just as amazing grown ‘en masse’. 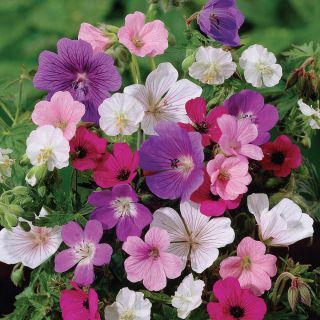 Geraniums are easily maintained with proper deadheading which is recommended to encourage multitudes of new blooms. These annuals are ideal bedding plants when started indoors and will easily root and adapt when set out in the garden after risk of frost. Some gardeners will even save the plants at the end of the season and grow as a houseplant until the following spring.